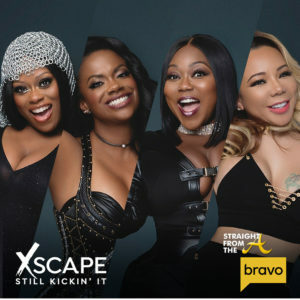 The ladies of Xscape have reunited and secured prime real estate on Bravo as they air the road to their reunion after Real Housewives of Atlanta. The first episode of ‘Xscape: Still Kickin’ It’ premiered last night and it wasn’t lacking of girl group drama. After splitting up 18 years ago, the four members of the multi-platinum selling girl group Xscape have reunited. Now in their 40s, the women plunge back into rehearsals and quickly realize that their old issues with each other have also resurfaced. 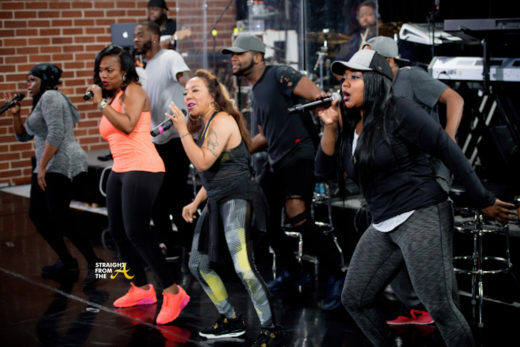 The ladies must figure out a way to get along with just two weeks to rehearse before taking the stage at the BET Awards, their first performance together in decades. 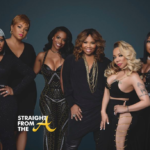 Video via MrWorldPremiereIn the first episode, Xscape, which consists of Real Housewife of Atlanta, Kandi Burruss, Tiny Harris, Latocha Scott and Tamika Scott seem to be struggling with trusting each other. Fans of the the popular 90’s girl group are aware that there was quite a bit of dissension and in-fighting after Kandi had a sexual relationship with the group’s producer, Jermaine Dupri. To further complicate that matter Latocha wanted to go solo and the other group members felt she was getting preferential treatment. 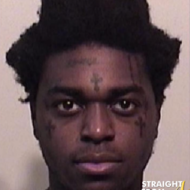 Tamika Scott then publicly accused Kandi of sleeping with not only Jermaine, but also his father, Michael Mauldin. 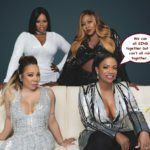 Over the years, Kandi has often stated that she would NEVER reunite with her former bandmates… but “Never” has a dollar amount and the time is now. It wasn’t until the ladies all discovered that Jermaine Dupri was shopping around an Xscape documentary, they all bonded over the fact that they wanted to protect their brand and be able to tell their own story (click HERE if you missed that). 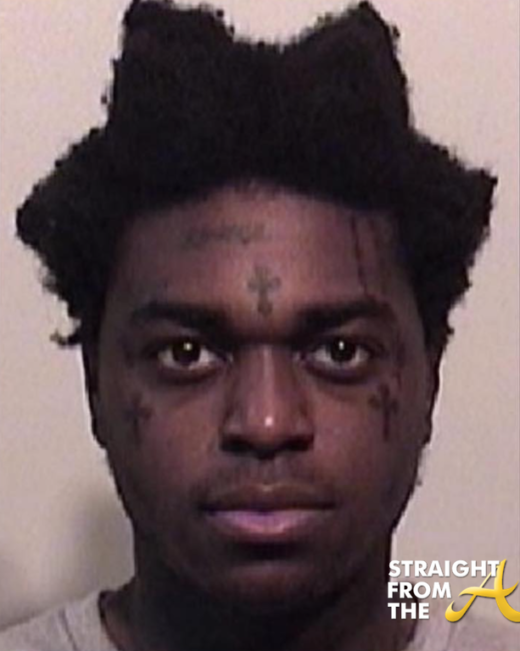 …but FIRST Kandi demanded a public apology. 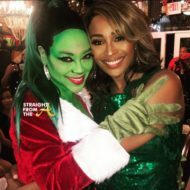 Clearly Kandi was hell bent on keeping the rights to tell her story, even if that meant sucking up to chicks that she vowed to never be bother with… and it shows in the first episode. 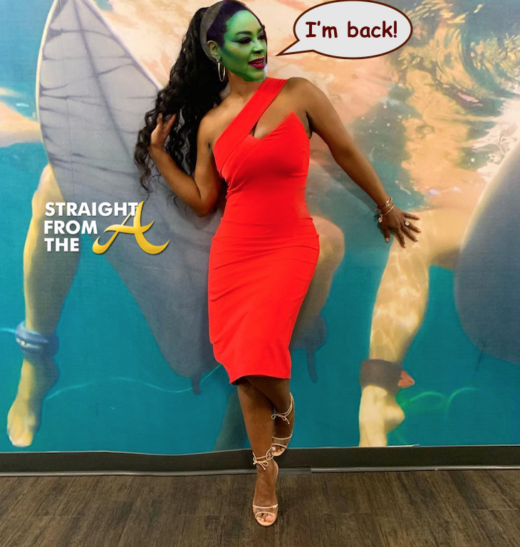 She’s standoffish during rehearsals and argumentative about every aspect of the group from set lists to dance routines… Kandi doesn’t like it. In addition to Kandi being insufferable, we get to have our ‘Family Hustle’ back after they were booted from VH1. 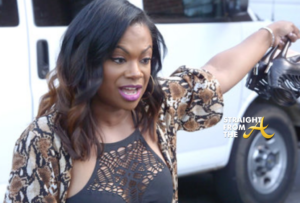 Tiny’s kids, mother, BFF Shekinah and even her ‘estranged’ husband, rapper T.I. gets airplay and I’m totally here for it! You can tell this is a Mona Scott production because she’s bringing out all the guns to make sure there’s something in it for everyone. Even the Love & Hip Hop crowd. 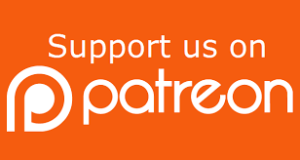 Whatever the case, the Xscape reunion reality show is an opportunity for all involved to make a cute coin and it seems they are on the right track. 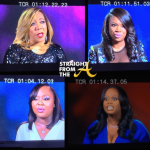 What did you think of Xscape’s reality show?